And just like that, vacation is over and my sisters wedding is over. And I am tired. Exhausted. I need a vacation from my vacation. Does anyone else feel like that? And I need sleep. Ha. But really, the last week was pretty amazing and my sister was stunning at her wedding. You can check out my Instagram for a few sneak peaks of the wedding. 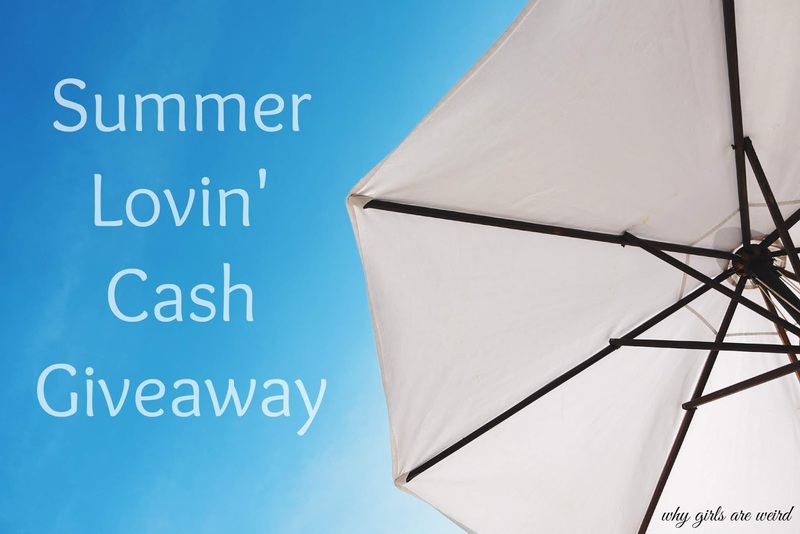 While I work on writing my vacation post and wedding post, I thought I would drop in to let you know that I am participating in a giveaway for cold hard cash. One of you lucky readers will win $150 from some amazing blogger babes and I. The giveaway starts today and goes through next Monday June 18th. Good luck!!! Thank you! I can't wait to post more photos. And I can't wait to get pro ones back as well. I saw the picture of you and your sister on Instagram, you both looked gorgeous! I am always needing a vacation from vacation. Awe thank you! It was a great day! She looked amazing! My favorite thing to do is go to the beach! I can't wait to get more too. We had such a fun time! What a great giveaway! I love to go to the beach! Thanks. I love beach time!!! Me too!!! I loved her wedding! I fave thing to do in the summer is swim! Love the beach and the pool!! I love swimming. Especially at the beach. I wish I had a pool that I could use more often! Beach all the way. But cannot wait for the wedding recap! Me too. Love the beach! I love camping. It is even more fun with friends!!! Woot, thanks for joining in the fun lady! So happy to hear your sister's wedding was wonderful! Awesome giveaway! Can't wait to see the full wedding recap! Thank you! and I can't wait to get more photos to write a bigger recap. I do have a lot of good ones so far though! Me too. Something about the waves is calming. being outside.. sleeping in.. ice cream and bbq! I am so excited to hear about the wedding!!! The beach is my favorite! Me too. I love soaking up the sun, playing in the water and enjoying the day! In the summer I enjoy going to the lake, swimming and fishing. Me too. Definitely some of my favorite summer activities. I love spending time at the beach! It is the best place to be! I like going to outdoor concerts.